Way back when, in the early 2000's, I went to a Jesus Seminar or Westar conference in New York City. It was a power lineup of everyone who had ever written a book re-examining Christianity. Karen Armstrong, Marcus Borg, John Shelby Spong, Robert Funk, Jon Dominic Crossan, Don Cupitt, Elaine Pagels. There wasn't another UU there, among the hundreds in attendance. 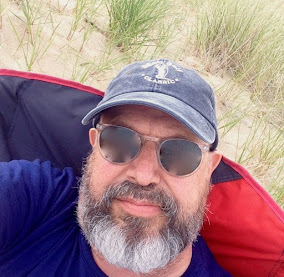 I was on a mission trying to find a way of understanding Christianity and Unitarian Universalism that reconnected us to emotional states that we UU's had ceased to feel: being called, being held accountable; being forgiven. The speakers were stimulating, but the crowd was uninspiring. They were largely older, quite academic, and bewildered. Why did it seem impossible to build a church movement when their ideas about religion were so well-thought out, modern and humane? Why were churches so uninterested in the reality of Jesus? Why were secular people uninterested in a version of Christianity that was shorn of everything that had driven them away from the church? Like I said, I was the only UU there, but I felt oddly and comfortably at home. I think it was Don Cupitt who suggested that we needed to understand secularity differently, to understand the situation of religion correctly. Secularity was a form of the European and North American religious tradition. It is not a rejection of Christianity but a fulfillment of it. I think it Lloyd Geering who pointed out that the trajectory of the Jewish and Christian traditions is that God starts out "out there" (separate) and ends up "in here" -- a spirit within us. It starts out concerned with rituals and sacrifice and ends up as ethics and ends up as personal ethics and morals. God starts out omnipotent and ends up needing our hands to get anything done. It starts with religion being the governance of society and ends up as personal spirituality. The secular society is the fulfillment of the western religion tradition. Free people, who carry God in their hearts, doing good works, united by a spirit. 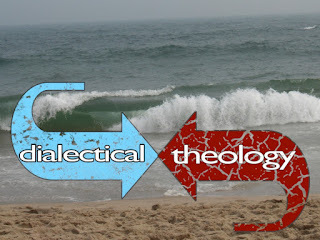 When people say that they are 'spiritual but not religious', they are living out one strain of Biblical theology. This put the progression of Unitarian Universalism into humanism in an entirely different light. Perhaps we, the Unitarian and Universalists, were 19th century manifestations of the movement out of the Temple into the world, shrinking religion down to human size. Is that what Channing meant by 'pure and simple Christianity?" I had no desire to become a humanist, at least no more a humanist than is everybody now. But I was becoming a Kenotic Christian. If Jesus was the Son of God, and had performed countless miracles, why did he not save Himself from arrest, torture and crucifixion? Surely, He had the power to do so. He chose not to. The ancient fathers of the church referred to this process by which Jesus emptied himself of his divinity as kenosis – a greek word meaning emptying. Jesus did not hold his divinity (equality with God) as something to be used, but “[he] emptied himself.” Paul suggests that we ought to think the same way about ourselves. What if Paul is not only speaking to us as individuals, but as the body of Christ, the church universal? How do we, as participants in organized Christianity take on the same mind that was in Christ Jesus? For centuries, the Christian church has declared itself to be God’s sole and exclusive agent on Earth. It claimed that it alone held the keys to eternal life and has used the human fear of death to hold earthly power. For centuries the Church had hegemony over the thoughts of men and women; it amassed great wealth and allied herself with every system of oppression and exploitation under which the world has suffered. The Church moved through the world as though Christ had saved himself from the cross with divine violence, an army of angels called down from heaven to defeat Rome. The church moved through the world as if it alone knew how and when and against whom that heavenly violence, that band of angels that could have rescued Jesus from the Romans, would be deployed. But those days are over. For the last few centuries, men and women have carved out a secular sphere with some independence from the hegemony of the church. Many in North America and Europe have thought of themselves as no longer under the influence of Christianity at all. A wall has been built to keep the church away from the levers of state power; the sword of the Prince is no longer wielded by the Church. What was Ceasar’s was rendered unto him; and only the free human spirit was left. I argue that the emergence of secular society can be seen as a fulfillment or the completion of the Western religious traditions, an age when, for ordinary people, their spiritual lives are conducted without regard to duties to religious institutions, rituals, formalized creeds or ordained religious leaders. A person’s spiritual life is manifested in ethical living, gratitude, compassion and reverence, the virtues of liberality. Everyone who cares to be is a free-lance seeker of the truth or a plain-clothes monk. Now the church stands chastened and humbled, rapidly becoming powerless in the larger society. Its sacred book, the Bible, is either unread, or plundered for political gain; its mainline Protestant churches and the Roman Catholic churches are empty, its doctrines are metaphors and archaic phrases. Its preachers use stories of daily life to prove the relevance of the Bible, in a reverse flow of meaning. The church is being emptied and being humbled, often against its will. The church is losing its social power because no one outside of itself trusts its sources of authority. The fundamentalists and evangelicals fight back against the tide of secularism and modernism, reasserting the authority of the Bible, even if they have to claim that dinosaurs walked with humans, and the gays and lesbians we all know are abominations unto the Lord. There is a desperate and visible will to believe at work there. More often that not, the authority of Christianity is being asserted to justify other long-standing oppressions and injustices. There will be an institution known as the Christian church in the future, of course, but in North America and Europe, it will survive as a backward looking instrument of survival for embattled ethnicities. The mainline Protestants don’t know what hit them. They covet the enthusiasm and fire of the evangelicals, but cannot generate it themselves. Can Christianity exist in the world without its claim to power and authority, without claiming some unique status of a special relationship to God? Without claiming "an equality with God, as something to be exploited." Nineteenth century Unitarians, and to a lesser extent, the Universalists, started to move in this direction. The Unitarians developed an approach to doctrine that favored individual freedom of belief; the Universalists a doctrine of salvation that extended to all. Their points of departure were different, but the effect was the same. Both were imagining a Christianity that had renounced its claim of a God-given authority to coerce. ethical and moral teachings of the church, the organizational structure of the free church. In the beginning, it operated within the culture of Christianity, but that has broadened in recent decades. But it may be that Unitarian Universalism is Christianity self-emptied, renouncing and putting aside what is essential to its identity as a special separate thing, and retaining only what is necessary to a good and faithful and ethical life. It is like a death to empty oneself of that which makes you special. “The hour is coming and is now here when the true worshippers will worship in spirit and truth. God is spirit and those who worship God must worship in spirit and truth.” Jesus, John 4: 23-24. We, as religious liberals, enter into this "hour [that] is coming, and is now here" holding onto two distillations of the western religious tradition. One is the ethical and moral teachings of the tradition. They are a powerful and transforming set of teachings, which are not separable from their sources. Walter Rauschenbusch wrote that if it were not for the Christian scripture (i.e. the ethical and moral teachings of the church tradition), no one would know that God loves the poor. After all, one would never draw that conclusion from watching the news. The other distillation of the western religious tradition that we carry is the structure of the church. And now, even that seems shaky and suspect. It can seem, that our commitment to institutional maintenance of the church and the congregation gets in the way of fulfilling our ethical and moral duties. We are religious liberals, living in a secular age. We don't know if this thing called religion is going to survive in the new age where we are going. We don't know what it is going to look like. We don't know how the relentless drives of globalization and science and revolution and climate change and everything else that looms in the future are going to change it, or kill it. We don't know if the institutions that carry religion now are going to survive, or how they will be changed. We really only know one thing: that everything out of that tradition which carries the best of humanity comes down to us as a moral and ethical imperative -- that we must love, that we must embody love, that we must empower love, that we must incarnate love, that we must, as the tee-shirt says, stand resolutely on the side of love. To me the call to love comes down to a call to develop the virtues of liberality as the operating orientations of our characters. Everything else we know about religion may die in this secular age. Certainly, all of us will die before this story is over. But faith says that love is stronger than death. So, we need not fear, nor cling, nor resist. We need no fear of this present age -- it was made for us -- we, who have already lightened our loads, jettisoned so much dead weight that would only burden us -- this present age was made for us and us for it. Let us worry less about what kind of church we will be, and focus instead on what kind of people we will be. Tom, thank you for this post. There are a number of Christian UUs to whom I want to send this, to ensure that they read it, and see themselves in it. I find your notions compelling, even as a UU who does not identify as Christian. Our worship style and our historical points of references, despite our pluralism, are so deeply Christian, it is hard to deny the strong Christian presence, which leads to unskillful hostility (fed by Original Hurt for individuals raised in the Church and having left). This emptying of which you speak leaves room for me, Buddhist in theology, spirituality, and inclination, to find sure footing in my association, as well as in my ministerial formation. For this emptying removes rabid certainty (or it should) and allows every flawed and loving human grasping of Great Mystery/Ultimate Truth. For this, I am thankful. This is a wonderful piece. Bravo! My one comment is that I suspect at least some readers may wonder if one moves beyond Christianity, what is the basis for the religion? If it's not the Bible, what is the basis? In my view, a firmer basis for a religion is all the sources of wisdom that human beings have developed: science, philosophy, poetry, etc. Building your religion upon this broader basis is building your house upon a rock, not the sand. This of course assumes that scientific findings about human nature, human evolution, and human capabilities and happiness reinforce the traditional moral lessons that meaning comes from compassion and justice, not from selfishness. I think this to be true. I have always loved the Dalai Lama's statement that if science discovered some truth that violated Buddhist doctrine, then Buddhist doctrine would need to change. I believe the spirit of the Enlightenment, which in my view UUism at its best exemplifies, was to try to recover older methods of exploring reality from the Greeks, and to improve and extend these methods. Christianity had incorporated some of this ancient wisdom but had suppressed other aspects of the Western tradition, and the Renaissance and then the Enlightenment sought to recover and extend these approaches. UU-associated movements such as the Transcendentalists also drew from this Greek tradition as well as from the religious and philosophical traditions of India and China. So, there needs to be a core meaning to our religion. It needs to have a broad basis, drawing on but not limited to Christianity. Different adherents may find different elements of our basis more or less inspiring. I personally like Greek philosophy but others may prefer poetry, or science, or the teachings of Jesus, or the teachings of the Buddha. But we need to somehow unify this into a common vision, centered, as you suggest, about issues such as character and virtue and how best to live in right relations in this world. Tim, a possible answer is to more fully embrace the "unity within diversity" paradigm that reflects both our individual unique status/DNA and our ultimate connectedness and mutual reliance. Science upholds such a human ecosystem, and it shows up as well in places in both Eastern and Western religion. It also bridges the religious and secular realms, as democracy at its best is "e pluribus unum" manifest in the premises of a free society, in the free inquiry of all authentic scientific disciplines, but also in the perspectives of a freedom-grounded approach to faith. Tom, this is some of the best and most provocative writing I've seen from UU's in a long time. Thanks so much! I think that the both the issues of pluralism and levels of commitment will fall away as we focus on embodying the virtues of liberality in our lives. We have great diversity in our theologies, and even more diversity in the identities that we claim, but our unity is actually in our desire to live better lives. Yes, it is always a contradictory thing because each of us is trying very hard to accept ourselves as we already are, so some days, a person wants inspiration, another day challenge, and on the third day to be affirmed. So, I worry less and less about the "Basis of Religion". It is a communal process of discerning the best ways to live in the world we have. There is a great wealth of writing and knowledge that we can use as tools in our discernment, but none have a final authority. This article just shines. You can actually feel it. 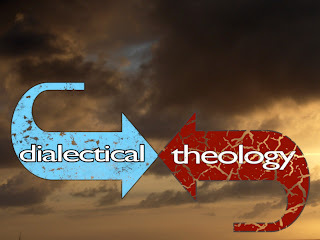 It would be interesting to be more attuned to/understanding of this kenosis. I have felt it but it's hard to connect to. We may be witnessing this in other groups beyond religion. Nations and races come to mind.